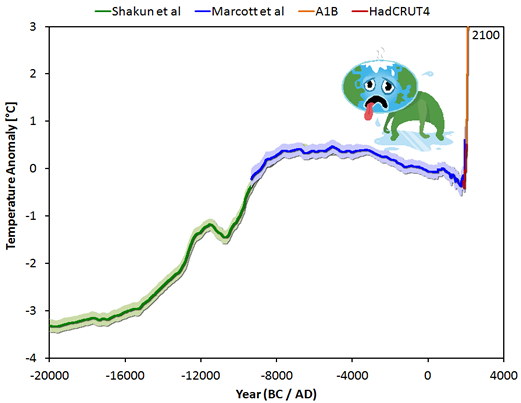 The 2001 Intergovernmental Panel on Climate Change (IPCC) Report included evidence in the form of a “hockey stick” graph, showing that the Medieval Warm Period (MWP) did not exist. Less prominent, but just as wrong, was erasure of the Little Ice Age (LIA). Tim for some reason has a fixation on the medieval warm anomaly and the Little Ice Age. He probably thinks that if climates changed anywhere in the past without being caused by greenhouse gases, then the current warming can't be caused by greenhouse gases. That's a logical fallacy of course. Just because bushfires get started from lightning strikes doesn't mean that they can't be caused by humans. Here is the relevant section of the 2001 IPCC report. Both the medieval warm anomaly and the Little Ice Age were real. What Tim is objecting to is that science now shows that neither of them were global in effect. Not everywhere got warm and cold during those periods and those that did didn't get warm and cold all at the same time. Tim would like science to have stopped short in the 1960s, going by the ancient drawings in his article. He also thinks that temperatures on an ice sheet on the top of a summit in Greenland make a good proxy for global surface temperatures. He's a real nutter. Nuttier even than Denier Don Easterbrook, who we haven't heard a peep from in ages. If you want to find out more about Tim Ball's "science" and his paranoid conspiracy ideations, you can do so here and here and here and here and here and here and here and here and here and here. Goodness me. Have I really wasted that much cyberspace on that despicable little man? Perhaps in future I'll just link back to here as a ready reckoner. IPCC is a parasitic organisation whose existence relies on AGW , with Mann and his gang are merely parasite facilitators who have done very well out of their ‘work’ , without its ‘host ‘ like any parasite its it would be dead through starvation. With that in mind, is anyone surprised to find its acts in the way it does? The saddest part is the very people that should have acted has gate keepers to such behaviour have either played the three wise monkeys or deep their own snouts in bucket of funding slops no matter how much ‘filth’ they had to clog their eyes , ears and mouths with . And for that we may all pay the price as the people start to view all science through the dishonest, hypocritical , poor scientific approaches used by climate ‘science’ . Maybe one day there’ll be a presidential inquiry into who said what and when, but there again presidents don’t like asking embarrassing questions about previous incumbents, as they don’t want to set a dangerous precedent. ...Obama’s inability to make a decision on Keystone has finally yielded a result – Canada has made the decision for him. All the jobs and energy security which Canadian oil could have delivered to America, will instead be delivered to Asia. Anthony's wrong on more than one count. The decision hasn't been "just approved". The Canadian government announced it nearly two weeks ago, which makes it old news. It's not "either/or". The Enbridge Northern Gateway Project is quite a separate initiative to that of Keystone XL. It was first proposed back in 2006. There are still a lot of hurdles to overcome before it becomes a reality, if it does. 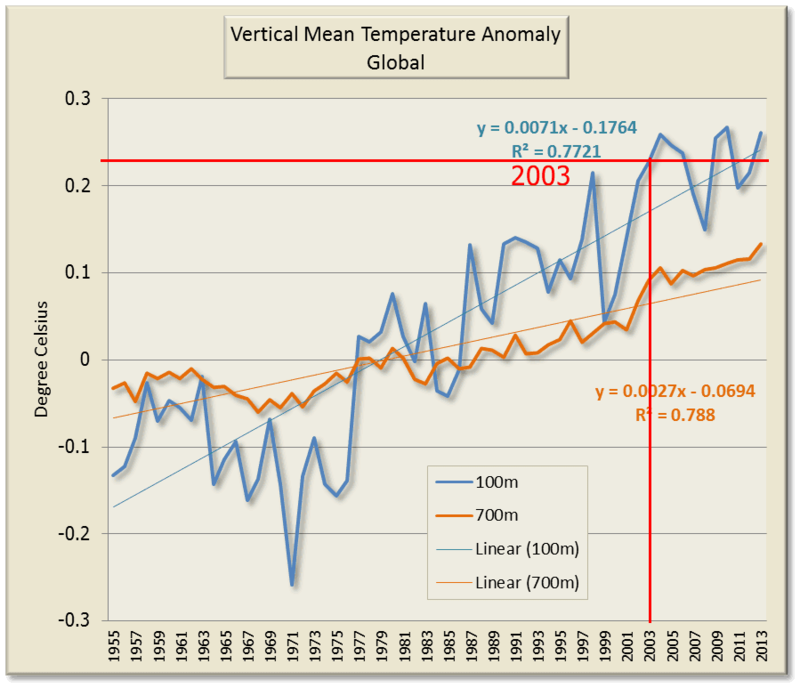 NOAA and temperature data - it must be a conspiracy. Update: Nick Stokes of Moyhu has written two articles that demonstrate what would happen if Anthony Watts had his way and stations with no data were ignored completely. See here and here. Anthony Watts might change his tune if he read them. Prior to the year 2000, NASA showed US temperatures cooling since the 1930′s, and 1934 much warmer than 1998....Right after the year 2000, NASA and NOAA dramatically altered US climate history, making the past much colder and the present much warmer. The animation below shows how NASA cooled 1934 and warmed 1998, to make 1998 the hottest year in US history instead of 1934. This alteration turned a long term cooling trend since 1930 into a warming trend. Steve doesn't say what data was "fabricated". Why should he? He's not a fact checker. Quite the opposite. He's in the denial business of making up stuff to stop any action to mitigate global warming. This article is another one that's too long :( Click read more if you're on the home page. If you ever wondered just how much a fake sceptic is willing to be duped, here's an example. Until today there was only been one minor mention of the scam at WUWT that I noticed. Anthony Watts chastised Wondering Willis for not giving Jo Nova a plug, in another of his "it's not the sun" articles. Today it's being promoted by Anthony Watts in an article by David "funny sunny" Archibald (archived here, latest here, and very latest here, with 532 comments. Some of the stouches (battles) are hilarious). I mean, you've got to wonder at how deniers can be so darned gullible. If you're wondering what this is all about, apparently Jo Nova and her partner David Evans have found a Notch. What this Notch does is delay solar energy reaching the earth by eleven years, or something like that. That's a long time for light to wait in the queue. Einstein would be amused. There's more. There is also a mysterious Force X that is affecting the climate. This Force X comes from the sun. It's just that no-one's noticed except David Evans and Jo Nova. 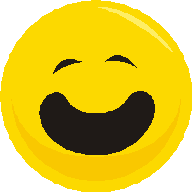 This is a long account. If you're on the home page click read more for the rest. There's not been much that was worth my writing about at WUWT lately. There hasn't been too much mocking of science - or no more than usual. And I haven't seen any Russian Steampipes or OMG it's insects rubbish this past few days either. There is a greed article (archived here) - strenuously objecting to helping less developed and poverty-stricken countries deal with climate change. Par for the denier course. As the headline suggests, when it comes to deniers it's "all about money". Which brings me to another thing I noticed, though not from anyone at WUWT, despite their apparent interest in the topic. While science deniers are busy denying the science, real scientists continue to do science. Victor Venema has a couple of articles about an initiative relating to a worldwide temperature record. The most recent article is here. The paper looks interesting and is available for comment, if you are an expert in homogenisation algorithms. The paper is called: Concepts for benchmarking of homogenisation algorithm performance on the global scale and you can read it here. The work was an international collaboration, involving 19 scientists from the UK, USA, Australia, Switzerland, Canada, Germany, Italy, Spain and Norway. No-one from Asia or Africa. You'll probably recognise some of the names. The International Surface Temperature Initiative (ISTI) is striving towards substantively improving our ability to robustly understand historical land surface air temperature change at all scales. A key recently completed first step has been collating all available records into a comprehensive open access, traceable and version-controlled databank. The crucial next step is to maximise the value of the collated data through a robust international framework of benchmarking and assessment for product intercomparison and uncertainty estimation. We focus on uncertainties arising from the presence of inhomogeneities in monthly surface temperature data and the varied methodological choices made by various groups in building homogeneous temperature products. The central facet of the benchmarking process is the creation of global scale synthetic analogs to the real-world database where both the "true" series and inhomogeneities are known (a luxury the real world data do not afford us). Hence algorithmic strengths and weaknesses can be meaningfully quantified and conditional inferences made about the real-world climate system. Here we discuss the necessary framework for developing an international homogenisation benchmarking system on the global scale for monthly mean temperatures. The value of this framework is critically dependent upon the number of groups taking part and so we strongly advocate involvement in the benchmarking exercise from as many data analyst groups as possible to make the best use of this substantial effort. There's a comment by Blair Trewin from the Australian Bureau of Meteorology, who says the paper is sound and adds some suggestions. If you're interested in records of global surface temperatures, this effort might be worth watching. ...The main conclusions were that homogenization improves the homogeneity of temperature data. Precipitation is more difficult and only the best algorithms were able to improve it. We found that modern methods improved the quality of temperature data about twice as much as traditional methods. It is thus important that people switch to one of these modern methods. My impression from the recent Homogenisation seminar and the upcoming European Meteorological Society (EMS) meeting is that this seems to be happening. Denier weirdness: Is Steve McIntyre calling the instrumental record an "artifact"? Anthony, it looks to me like Goddard’s artifact is almost exactly equivalent in methodology to Marcott’s artifact spike – this is a much more exact comparison than Mann. Marcott’s artifact also arose from data drop-out. However, rather than conceding the criticism, Marcott et al have failed to issue a corrigendum and their result has been widely cited. Without filling data gaps, our Standard 5×5 reconstruction (Fig. 1A) exhibits 0.6°C greater warming over the past ~60 yr B.P. (1890 to 1950 CE) than our equivalent infilled 5° × 5° area-weighted mean stack (Fig. 1, C and D). However, considering the temporal resolution of our data set and the small number of records that cover this interval (Fig. 1G), this difference is probably not robust. Before this interval, the gap-filled and unfilled methods of calculating the stacks are nearly identical (Fig. 1D). A: Our global paleotemperature reconstruction includes a so-called “uptick” in temperatures during the 20th-century. However, in the paper we make the point that this particular feature is of shorter duration than the inherent smoothing in our statistical averaging procedure, and that it is based on only a few available paleo-reconstructions of the type we used. Thus, the 20th century portion of our paleotemperature stack is not statistically robust, cannot be considered representative of global temperature changes, and therefore is not the basis of any of our conclusions. Our primary conclusions are based on a comparison of the longer term paleotemperature changes from our reconstruction with the well-documented temperature changes that have occurred over the last century, as documented by the instrumental record. Although not part of our study, high-resolution paleoclimate data from the past ~130 years have been compiled from various geological archives, and confirm the general features of warming trend over this time interval (Anderson, D.M. et al., 2013, Geophysical Research Letters, v. 40, p. 189-193; http://www.agu.org/journals/pip/gl/2012GL054271-pip.pdf). You'll notice that as Shaun Marcott points out, there is plenty of data around for the recent past. Marcott13 is about the entire Holocene record. Steve McIntyre doesn't "get it". Still, Steve's got to deny I guess. It's all he's good for. And Marcott13 was an important paper, especially for deniers, because it really showed up the fact that humans are entering very new territory as far as climate goes. The chart below shows where we've been and where we're heading. The green bit is from Shakun12 showing when earth was cold and humans struggled for survival. The blue bit is the surface temperature over the period since human civilisation. The red bit is where we're heading this century. Incidentally, Anthony Watts in that article was doing something positive for a change. He was explaining why Steve Goddard is making a fool of himself over US surface temperatures (archived here). Peter Sinclair talks about this in his latest "Climate Crocks" episode. So did Media Matters, because Fox News made some fuss about it all. Fox News really does know how to add to its reputation as the place to avoid if you are after facts. Dana Nuccitelli is on the ball at the Guardian, too. Steve McIntyre: good point, I’ll address that in part 2. Thank you. Goddard willfully sponsors a hostile and utterly reason averse and pure tribal culture on his very high traffic skeptical blog where about a dozen political fanatics are cheerled on by a half dozen tag along crackpots who all pile on anybody who offers constructive criticism. His blog alone is responsible for the continuing and very successful negative stereotyping of mainstream skepticism by a highly funded alarmist PR machine. His overpolitization of climate model skepticism results in a great inertia by harshly alienating mostly liberal academic scientists and big city professionals who also lean left but who might otherwise be open to reason. I live two blocks from NASA GISS above Tom’s Diner, just above the extremely liberal Upper West Side and my main hassle in stating facts and showing official data plots is online extremism being pointed out by Al Gore’s activist crowd along with John Cook’s more sophisticated obfuscation crowd. Goddard’s regular conspiracy theory about CIA drug use to brainwash school kids into shooting incidents in order to disarm conservatives in preparation for concentration camps for conservatives is something skeptics should stop ignoring and start actively shunning. His blog is the crack house of skepticism. ...if the CO2 concentration is accurately measured by Etheridge et al (1996), then it is more likely the result of a natural process than from industrial sources. James McCown is said to be an "economist with the Toltec Group, an economic consulting practice in Oklahoma and has a PhD in economics from Ohio State." It looks as if he is the Toltec Group. I'd say he is the sum total of the Toltec Group, which from its website is mainly interested in oil and gas (and flogging a free android app). I'd not recommend commissioning him to do any research relating to climate (or economics). Most scientists will agree that most of the CO2 concentration changes of the past 1000 years as reported by Etheridge et al way back in 1996 would have been the result of natural processes rather than from industrial sources. The main contribution from industrial sources would have been from the industrial era, since the 1700s. Most of the changes from the several centuries prior to that would have been from natural sources, with only small changes arising from human activities such as deforestation and agriculture. So that's nothing new. However I don't think that's what James McCown meant. I believe he was trying to argue that plants don't use CO2 in photosynthesis and that burning fossil fuels doesn't release carbon dioxide. It seems to me that he's rejecting plant biochemistry (photosynthesis) as well as chemistry (the reaction of burning hydrocarbons). What he seems to be saying is that the recent hike in atmospheric CO2 wasn't added by humans. Atmospheric CO2 oscillated between around 180 ppm and 280 ppm over the past 800,000 years as Earth cooled and warmed. It's only in recent decades that it's gone above 300 ppm and has now shot up to 400 ppm. Burning gigantic amounts of fossil fuels is the main reason for this. James hasn't thought it through when he writes: "it is more likely the result of a natural process than from industrial sources". In fact he doesn't even indicate what "natural process" could possibly cause such a stupendously huge amount of CO2 to get into the air all of a sudden. We have shown that anthropogenic forcings do not polynomially cointegrate with global temperature and solar irradiance. Therefore, data for 1880–2007 do not support the anthropogenic interpretation of global warming during this period. This key result is shown graphically in Fig. 3 where the vertical axis measures the component of global temperature that is unexplained by solar irradiance according to our estimates. In panel a the horizontal axis measures the anomaly in the anthropogenic trend when the latter is derived from forcings of carbon dioxide, methane and nitrous oxide. In panel b the horizontal axis measures this anthropogenic anomaly when apart from these greenhouse gas forcings, it includes tropospheric aerosols and black carbon. Panels a and b both show that there is no relationship between temperature and the anthropogenic anomaly, once the warming effect of solar irradiance is taken into consideration. The Beenstock paper is pretty well all statistics and econometrics which is beyond my expertise. It wasn't based on climate science. It didn't get much attention, being cited only 14 times so far (according to Google Scholar), with most citations being either refutations mixed with the occasional citation from other science deniers (eg Willie Soon). At WUWT James is trying to defend the paper against one of the papers that pointed out its flaws, by Pretis and Hendry - who took it on from an econometric perspective. A fight fire with fire approach. Michael Beenstock has only tackled global warming in one other paper that I found, and that was about tide gauges. I gather he's a climate science denier whose own field isn't climate science but economics. The comment on the paper was by two economists, F. Pretis and D. F. Hendry, who argued there were errors in the Beenstock paper, which they discuss under six main headings. Anyway, that's enough of that. This HW article isn't about the merits or otherwise of the different papers. The papers themselves rely on technical analysis which is beyond my expertise and they aren't really about climate science, they are about statistics/econometrics. I just thought it was mildly interesting that WUWT has another article rejecting basic science. In this case, rejecting chemistry and biology. Have a look at the details of the Keeling CO2 curve. There is a very odd SINGLE cycle to the rise and fall during the year. The peak is in late April, and the lowest level, in end September, beginning October. The annual rise is the difference between the rise and fall, of course, and attributed to power-plant, fossil fuel use. The cycle is attributed to “natural causes”. Yet what processes start net CO2 production in September and end net production in May? And why only one? IPCC is the ‘Intergovernmental’ not ‘International’ Panel for Climate Control. 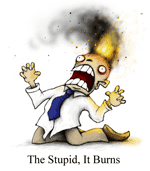 Anthony Watts is on a roll wheeling out one greenhouse effect denier after another. Yesterday it was Dr Lu who reckons that CO2 isn't working anymore. Now it's Jim Steele (archived here). This article is quite long. It's not a bad example of denialism in action - from the WUWT article itself through to the idiotic comments that followed it. As well as relying on the very same scientific papers (and scientists) he scoffs at, Jim misrepresents them. Jim uses cherry picking mixed with disinformation. If Anthony Watts really wanted to be taken seriously, he wouldn't be promoting greenhouse effect deniers like Jim Steele. But Anthony doesn't want to be taken seriously, except as a true blue disinformer and fake sceptic. His first priority is to impress all his science-rejecting fans who willingly send him their hard-earned cash, and patrons like the Heartland Institute. Jim doesn't say what he finds to be the strawman in that passage that he quotes. I can't see one. Perhaps a reader can explain it. All I see is an explanation of why the notion that climates having changed in the past from other causes is no reason to reject the notion that it's human activities that are causing the current climate change. Pretty straightforward, I'd have thought. Jim thinks the SkepticalScience article is a gish-gallop. Jim doesn't know what a gish gallop is. He is also mixing up two articles. 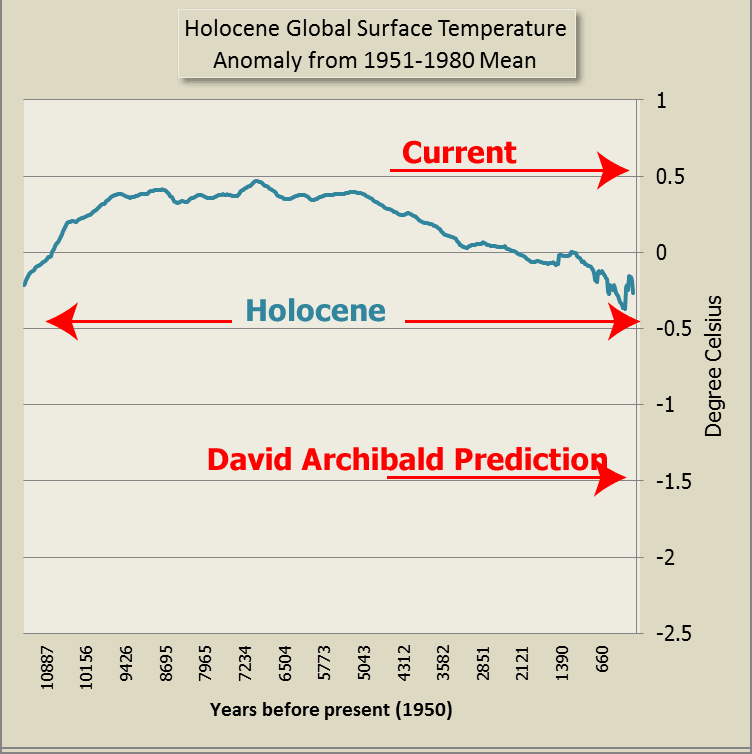 SkepticalScience.com has two responses to the denier illogic: "climate changed naturally in the past [therefore it must be changing naturally in the present]". There is a short basic version and a longer intermediate version. Jim has taken the last sentence of the intermediate version out of context and wrongly labelled it a non-sequitur. (Jim isn't an expert in climate and evidence shows that neither is he competent at logic.) The statement is factual, accurate and stands on its own in any case. Past climate change does indeed provide evidence that humans can affect climate now. Click "read more" if you want to read lots more nonsense from Jim Steele. Here's one for the shrinks out there. Anthony Watts isn't scoffing at a new scientific paper and the question is, why not? (Archived here). The researchers were studying climate patterns over the past 550,000 years. They analysed samples from limestone caves in Korea. In glacial periods when it is cold and dry the limestone growth stagnates and in interglacials when it is warm and moist they grow (I'd say it's a bit more complicated than that, but that's the gist of it). Having established climatic patterns in those locations they looked at a range of climate data from elsewhere - solar insolation, glaciers, and deep sea sediments, and found that the same climate change patterns for the same periods. Put simplistically, as I understand it, when it's warm and moist somewhere it's cold and dry somewhere else - and this has been observed as a see-saw hemispherical pattern in some areas of the tropics and now, with this research, in part of the mid-latitudes. The pattern is purported to be a climatic response to orbital forcing. So it looks as if we're talking about gross patterns over millenia on a geological time scale, not annual, decadal or even centennial patterns. An interhemispheric hydrologic seesaw—in which latitudinal migrations of the Intertropical Convergence Zone (ITCZ) produce simultaneous wetting (increased precipitation) in one hemisphere and drying in the other—has been discovered in some tropical and subtropical regions1, 2, 3. For instance, Chinese and Brazilian subtropical speleothem (cave formations such as stalactites and stalagmites) records show opposite trends in time series of oxygen isotopes (a proxy for precipitation variability) at millennial to orbital timescales2, 3, suggesting that hydrologic cycles were antiphased in the northerly versus southerly subtropics. This tropical to subtropical hydrologic phenomenon is likely to be an initial and important climatic response to orbital forcing3. The impacts of such an interhemispheric hydrologic seesaw on higher-latitude regions and the global climate system, however, are unknown. Here we show that the antiphasing seen in the tropical records is also present in both hemispheres of the mid-latitude western Pacific Ocean. Our results are based on a new 550,000-year record of the growth frequency of speleothems from the Korean peninsula, which we compare to Southern Hemisphere equivalents4. The Korean data are discontinuous and derived from 24 separate speleothems, but still allow the identification of periods of peak speleothem growth and, thus, precipitation. The clear hemispheric antiphasing indicates that the sphere of influence of the interhemispheric hydrologic seesaw over the past 550,000 years extended at least to the mid-latitudes, such as northeast Asia, and that orbital-timescale ITCZ shifts can have serious effects on temperate climate systems. Furthermore, our result implies that insolation-driven ITCZ dynamics may provoke water vapour and vegetation feedbacks in northern mid-latitude regions and could have regulated global climate conditions throughout the late Quaternary ice age cycles. The research itself relies on fairly sparse data from few locations - "24 separate speleothems from 15 limestone caves" in Korea combined with what I understand to have been existing analyses from selected locations elsewhere in the world. The southern hemisphere data is only from a few locations - described in the research as the western Pacific, though it includes caves in Naracoorte in South Australia. Background image is from NASA Eclipse Web Site (http://eclipse.gsfc.nasa.gov/transit/TV2004.html). a, Peak interglacial periods are characterized by large geographic variations in the seasonal ITCZ and strong atmospheric meridional overturning circulations. b, Stadial periods show intermediate climatic conditions between those of peak interglacial and full glacial periods. c, Interstadial periods show intermediate climatic conditions between those of peak interglacial and full glacial periods. 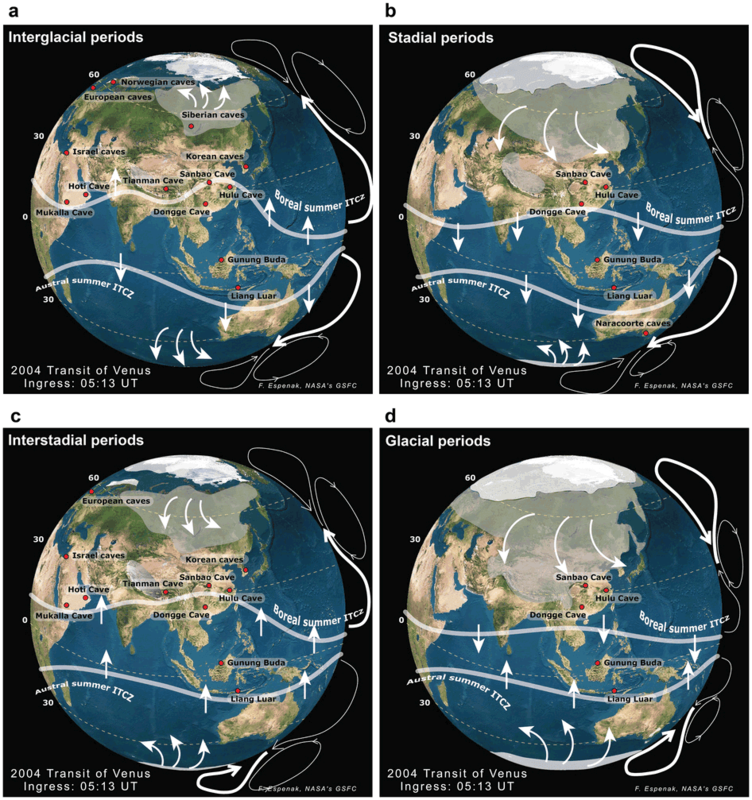 d, Full glacial periods are characterized by small geographic variations in the seasonal ITCZ and weak atmospheric meridional overturning circulations. Conceptual geographic ranges of estimated permafrost and ice sheets during stadial periods are shown by grey- and white-coloured areas, respectively48. Also shown are the cave locations of active speleothem growth during each time period (red dots)4, 15, 21, 42, 49, 52, 54, 55, 56, 57, 58, 59. See Methods for a detailed description of the scenario. I'm not questioning the research itself. It looks quite interesting and the scientists themselves as well as reviewers from Nature think so too. ...There are clearly large scale changes that produce opposing effects in each hemisphere. Since the NH has more land and thus less heat capacity at the surface it’s temperatures will vary more than SH. Thus the usual obsession with metrics like “global mean surface temperature” could suggest “global warming” even if the global heat content did not change.